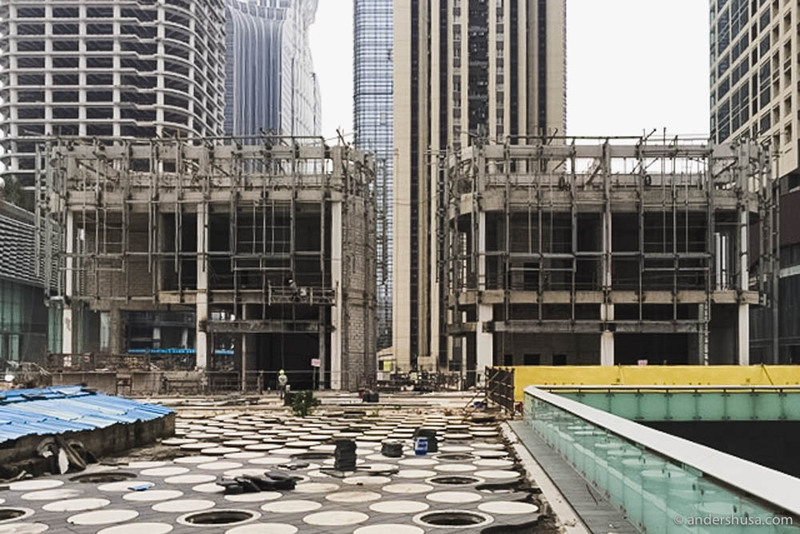 In August 2019, Maaemo will open its second restaurant, and the location is the city of Shenzhen in China. Rumors about this bold move have circulated in the industry for some time already. Today, Maaemo founder and executive chef, Esben Holmboe Bang confirmed that he is indeed entering the Chinese market together with his investor Bjørn Tore Furset and two additional Chinese investors. The name of the new restaurant has yet to be decided. – I have always been fascinated by the food culture in China. The ingredients and techniques, says Holmboe Bang. When you achieve the status Maaemo enjoys in the world of food, with three Michelin-stars and a position on the World’s 50 Best Restaurants-list, there is no lack of offers from investors and others who want to take part in the success. Until now, Maaemo has declined all of them. However, when the opportunity arose of doing something as crazy as opening a new restaurant in China, Esben’s interest was triggered. – The idea started two years ago. I wanted to do something as far from what we are doing here as possible, Holmboe Bang reveals. For a long time, Esben remained skeptical of the project. It wasn’t until the right team was in place that he, finally, accepted that it was happening. To lead the kitchen in Shenzhen, he picked Kevin Finch. Finch previously worked as an intern at Maaemo for a year, before he returned to Atelier Crenn in San Francisco. Here, he was the head chef under Dominique Crenn and helped win the third Michelin-star for the Netflix-featured restaurant. He quit the day after the third star was revealed. Additionally, parts of the current Maaemo team will move to Shenzhen, along with several former employees who return to work with Holmboe Bang once more. – I will be the creative leader, but I won’t run the restaurant on a daily basis. That wouldn’t be possible. 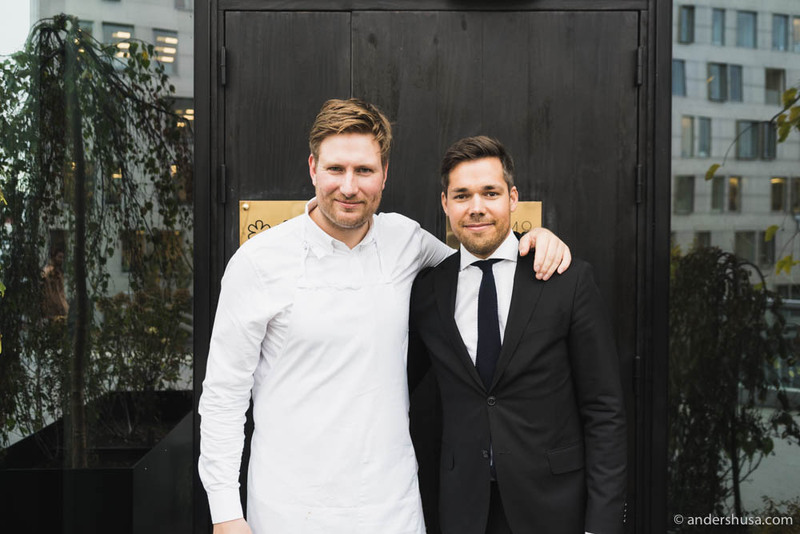 My focus will always be on Maaemo in Oslo, Esben assures. Maaemo is moving in Oslo. 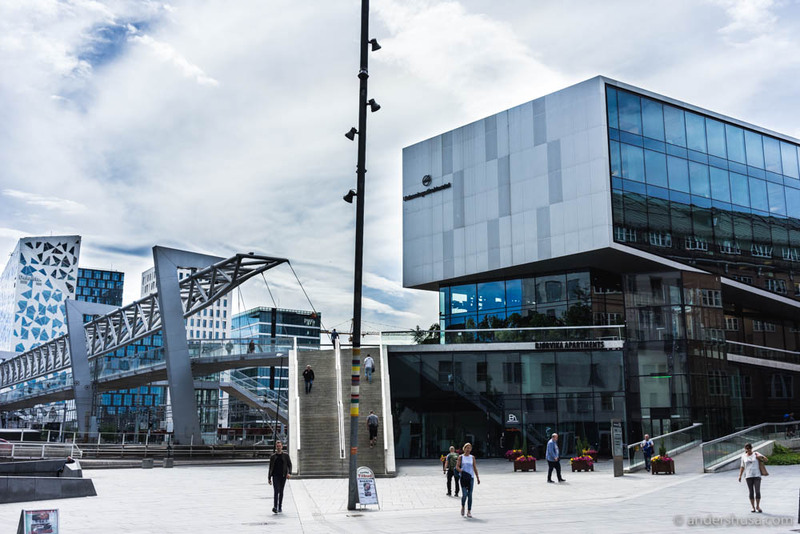 Last year, the acclaimed restaurant announced that it was moving its flagship restaurant to a new location at Bjørvika in Oslo. With this move, Maaemo aims to improve the guest experience further and fulfill all of its ambitions. While the number of guests remains the same, the actual space is almost five times bigger, which opens up many new possibilities. The kitchen and the main dining room will finally be on the same level, and guests will start and end their dining experience in a lounge. The biggest tables will only seat four people, apart from the private dining room that can host twelve – but a separate kitchen will serve this. – We want our guests to experience a higher degree of comfort, says Esben. December 15th, 2019 will be the last day of operations in the glass cube on Schweigaards gate 15. If everything goes as planned, the new Maaemo 2.0 is expected to open no longer than a month and a half later, on February 1st, 2020. That’s yet another reason for Esben and his team to push for the scheduled opening in Asia. With the majority of design elements already finished, the goal certainly seems within reach. And the Chinese are known to be fast builders. – We believe it is possible to open next autumn. It would be nice to be done in China when our focus shifts to Norway, but at the same time, we have no rush. We will open when we are ready – not before, Holmboe Bang stresses. 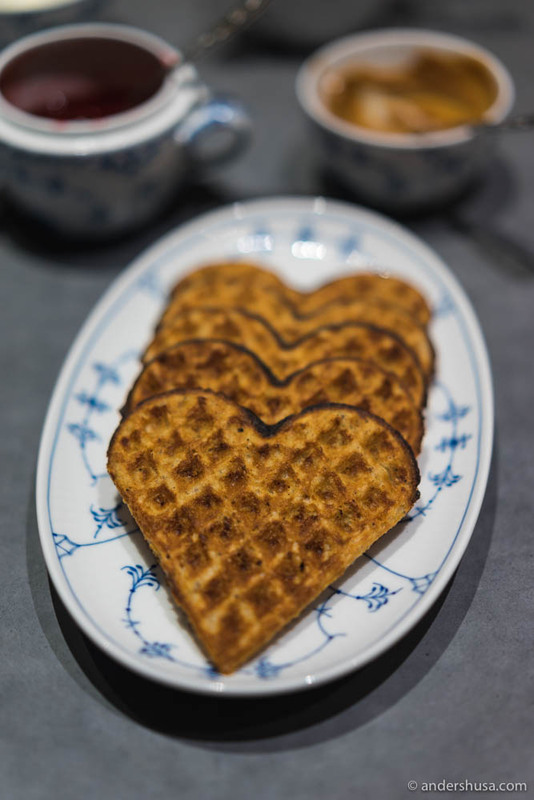 Will the Chinese get to taste Norwegian waffle with brown cheese? The restaurant will be roughly the same size as its Norwegian sibling. Situated in a separate building on One Avenue in the Central Business District (CBD) of Shenzhen, with a capacity of 30 guests in the main hall, as well as a private dining room. The interior design will lend elements from Chinese and Japanese culture, as well as Norwegian. – The ambition level is the same as in Oslo. We want to create a magical space, but at the same time, we have a humble approach, Esben explains. Holmboe Bang is looking forward to exploring both the Norwegian and Chinese cuisine, but he doesn’t want to put a label on the restaurant just yet. The goal is to build an identity as they dig deeper into the vast Chinese food culture. One thing is for sure, it won’t be a type of restaurant you’ll find in New York, London, or anywhere else. Esben is aware of the challenge of taking on the thousand-years-old food traditions of Chinese cuisine, but that is also what triggers him. – The restaurant needs to make sense in China. We will use some Norwegian ingredients and techniques, and some Chinese, but we are not here to show the Chinese how to cook their own food, he is quick to point out. Holmboe Bang mentions snake as an example of what may be found on the elaborate tasting menu in China. More exotic produce might make it onto the final menu, but it is too early to tell. The menu is very much in its development phase still, and the focus right now is to find exciting ingredients. – We must dare to make choices that may be provocative in the eyes of a Westerner. To find those ingredients that we might not consider food, Esben smiles. Shenzhen is a city of roughly 20 million people and part of the larger Guangdong Province with a population expected to hit 120 million soon – making it the most populous province in China. The city of Shenzhen, a former fishing village, has grown at an astounding rate from mere 30.000 in the 1970s. As the economic hub of the region, dubbed the Silicon Valley of China, Shenzhen is home to technology giants like Huawei. The city is world-leading in environmentally friendly public transportation, with a fleet of 16.000 electric buses and 99% electric taxis. The city borders to Hong Kong and Macau, both popular cities for Western tourism and ex-pats. A new high-speed train will make the entire area even more accessible. Still, entering Shenzhen is like entering a completely different world. As you cross the border at one of the six checkpoints from Hong Kong, you enter the real China. Here, contact with the outside world is limited, and you may struggle to get online – especially to use services like Instagram and Facebook. Would you travel to China to eat at Esben Holmboe Bang’s new restaurant? Please leave a comment below. Time to plan a trip to Shenzen! Agreed! Best of luck with your CV. great news, but why not beijing or shanghai? I can’t tell you why they chose Shenzhen, unfortunately. Hey Anders, I will join you in Shenzhen.